The Nigeria Labor Congress has suspended its ongoing nationwide strike following the promises of the Federal Government to reconvene the tripartite committee on national minimum wage on October 4. The suspension of the warning strike takes effect from today. 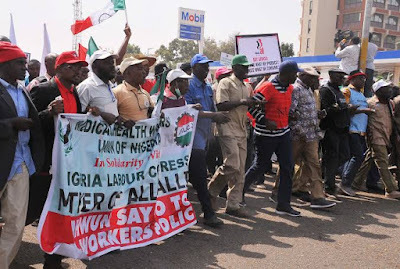 Announcing the decision in Abuja on Sunday, the NLC President, Ayuba Wabba, said the labor action was suspended to allow the tripartite committee to hold its crucial meeting and conclude its work.